The University of Missouri-Kansas City, Truman Medical Centers (TMC) and Children’s Mercy have won a quality-improvement grant from the Centers for Disease Control and Prevention for diagnostic laboratory testing at TMC. The three-year grant, which will use Cerner Health Facts data, is funded up to $930,000. “The methods developed through this project will demonstrate value of both local and national medical data warehouses to inform quality improvement initiatives related to laboratory medicine,” said Mark Hoffman, primary investigator on the grant. Hoffman is chief research information officer at Children’s Mercy and is a faculty member in biomedical and health informatics and pediatrics at the UMKC School of Medicine. Kamani Lankachandra, chair of pathology at UMKC and the director of the pathology lab at TMC, is a co-investigator. Diagnostic laboratory testing results are used in 60 to 70 percent of all clinical decisions. While laboratories have strong procedures to manage process-quality concerns within the lab, they often do not have access to reliable information related to test ordering or the use of test results to inform patient treatment. Electronic health record data is increasingly used to populate local data warehouses, including those implemented using the National Institutes of Health-funded “informatics for integrating biology and the bedside” application, often shortened to i2b2. Some electronic health record vendors, including Cerner, manage national data warehouses populated with de-identified data from contributors that have provided data rights. Electronic health record data merged with laboratory information system data can provide diagnostic laboratories with information needed to better understand quality gaps, especially those related to test ordering and patient treatment informed by laboratory results. 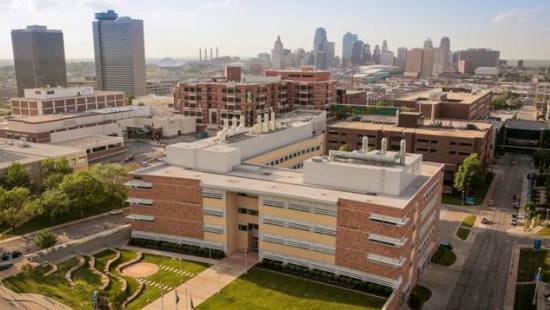 TMC and their primary academic partner, UMKC, have collaborated with Cerner to implement i2b2 as a de-identified analytical data warehouse reflecting local clinical processes at TMC. And through this collaboration, UMKC has received a full copy of the Cerner Health Facts national data warehouse; few academic research centers in the world have access to this vast amount of medical data. The de-identified data in Health Facts represents more than 600 inpatient and outpatient facilities and health care decisions for more than 47 million unique patients. Significantly, Health Facts includes more than 3 billion diagnostic laboratory results and more than 350 million medication orders. UMKC will use the combination of i2b2 and Health Facts to prioritize up to 10 laboratory- related quality gaps, informed by insights from the practice-based evidence in Health Facts. TMC’s i2b2 data will be utilized to evaluate baseline status for candidate quality improvement projects. The prioritization phase will use Health Facts to characterize the severity of the quality gaps at TMC. This project will provide methods that will enable TMC to develop quality improvement initiatives that are prioritized and designed using these data sources.